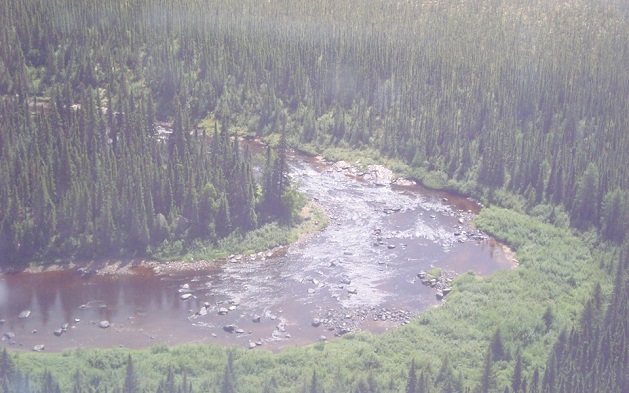 The property is located in the “Ring of Fire” exploration area of North Central Ontario, known for its semi-circular region of geological activity (registering magnetic highs, meaning dense mineralization) that has left rich mineral deposits such as nickel, copper, platinum, palladium, diamond and gold. The area has attracted various other junior exploration companies after a world-class nickel deposit was discovered in 2007, yet Melkior is one of the largest land holders, and we own 100% interest in the property. Our East Rim claims have never been previously explored, and so are in the grass roots stages but have an open potential. We consider this project a long term asset with a bright future. We have only conducted a single drilling campaign to date, but so far all the ingredients are there for a potential world-class nickel or chromite discovery. The potential for nickel-copper PGE deposits is considered excellent, and yet the property may also host massive chromite, volcanic massive sulfide deposits, and even diamond-bearing kimberlite. Before Melkior, no exploration had ever been done on the East Rim property. This puts us in the early stages of exploration. The East Rim property is a large area which contains several gravity highs as well as conductive and magnetic anomalies, and is interpreted to be underlain by large volumes of dense mafic or ultramafic rocks that can host significant nickel copper massive sulphide occurrences. It has very similar geophysics to other nickel/chromite discoveries. Through our first (and currently only) drilling campaign we revealed thick units of mafic volcanic rock which represent favourable porous and permeable units for tectonic fluid circulation. Sulphides were found in every hole – a crucial ingredient for base metal mineralization. The initial drilling represents one hole per 20 square kilometers. Several holes encountered geological formations that could be an indicator of a layered intrusion. If confirmed, the situation could be similar to that of the famous Sudbury and Voisey’s Bay deposits.